If water is leaking through existing masonry or you need to protect new construction, our proprietary formula is GUARANTEED to stop water. Unlike ordinary paint that simply adheres to a surface and can be forced off by incoming water pressure, DRYLOK® Original Masonry Waterproofer actually penetrates the pores in that surface, bonding to the masonry and creating an impenetrable barrier. Waterproof interior, exterior, above and below grade walls and more: basements, living spaces, laundry rooms, dry storage, hobby corners, fish ponds, retaining walls, bird baths, and more. Optional: After 24 hours, DRYLOK® Original Masonry Waterproofer may be topcoated with a good quality latex paint for decorative purposes. Please note, colors are RGB web approximations of the actual shades. Stop Water in 3 Easy Steps - Just Prep, Patch, and Paint! Why Use DRYLOK® Masonry Waterproofer? DRYLOK® Original Masonry Waterproofer may be applied on a slightly damp surface, but best results are obtained when the surface is dry, clean and free of grease, oil, form release compound, and paint. Remove dust, dirt, and any loose or broken mortar with a wire brush. 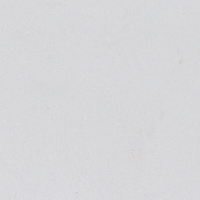 Old paint in poor condition should be removed by wire-brushing, sandblasting or other suitable methods*. If you see white, powdery, crystal-like deposits on the surface, they are naturally-occurring, water-soluble salt compounds in the masonry, pushed out by water intrusion. When the water evaporates, the salt residue remains. This effect is called efflorescence and, because it prevents DRYLOK® Original Masonry Waterproofer from properly bonding to the surface, it must be removed. Treat it with DRYLOK® Etch®** (liquid or powder formula) or muriatic acid according to the manufacturer’s directions, rinse and allow to dry. Since efflorescence occurs naturally, we cannot warrant against it reoccurring. Patch all cracks and holes with DRYLOK® Fast Plug®. Wet the surface to be patched and, so DRYLOK® Original Masonry Waterproofer can better anchor itself into the wall, back chisel the areas to be patched into shapes like an inverted “V”. Apply and smooth the patch so it’s even with the surface around it. As DRYLOK® Fast Plug® sets rapidly, mix only what you’ll use in 3 to 5 minutes. Also, be sure to seal the area where the floor and wall meet. Often, when concrete floors cure, they shrink and pull away from the wall, creating a space where water can enter. Schedule your project when both air and surface temperatures are 50ºF or higher and, for best results, wait for a dry (rain-free) period. Cancer hazard: Contains Crystalline Silica, which can cause cancer***. Stir DRYLOK® Original Masonry Waterproofer thoroughly before and during application - do not thin. Apply the first coat to bare masonry with a three-quarter-inch nap roller, a DRYLOK® Brush or a quality nylon bristle brush. If using a brush, work the DRYLOK® Original Masonry Waterproofer into the pores of the masonry, making sure to fill all pores and pinholes. If using a roller, back brush the first coat to fill all pores and pinholes. Give the first coat three hours to dry, and then apply a second coat using a roller, brush or sprayer. Proper coverage, a minimum of 2 coats, is required to warranty waterproofing. After the second coat, carefully inspect the entire surface for pinholes. Give these areas an additional coat. If leaking is still present after two coats, it indicates that pores or pinholes are still open. Paint these areas again. 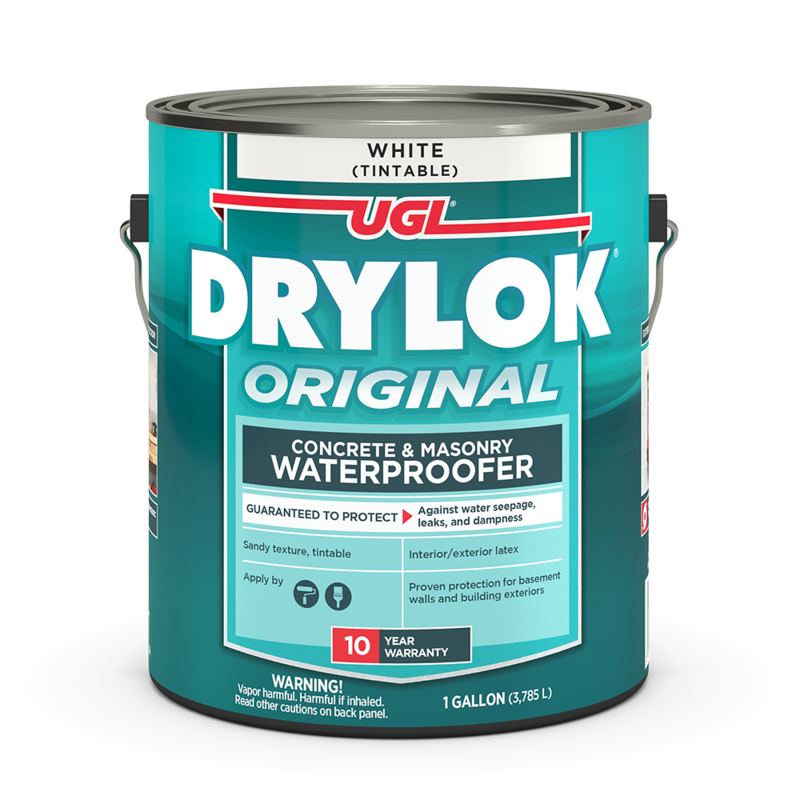 When painting the inside of concrete fish ponds and non-potable water tanks, allow DRYLOK® Original Masonry Waterproofer to dry at least one week, then fill with water. Dispose of contaminated absorbent, container and unused contents in accordance with local, state and federal regulations. United Gilsonite Laboratories (UGL®) warrants DRYLOK® Original Masonry Waterproofer, when applied according to directions on a properly prepared bare masonry surface, will provide a waterproof coating for ten (10) years from the date of application, warranty includes subsequent owners. There are no other warranties that extend beyond this warranty. This warranty shall not apply when the waterproofer fails due to improper product application, failure to follow label directions, inadequate surface preparation, cracked structural surfaces, reoccurring efflorescence or any conditions not foreseen by UGL. Two coats of DRYLOK® Original Masonry Waterproofer are required to ensure warranted waterproofing. Label directions are as complete as possible, but cannot encompass all conditions, applications and/or surfaces. In the event that the coating fails, your remedy is limited to either replacement of the product purchased or refund of the purchase price. This is the exclusive remedy. For warranty fulfillment, return used product container and sales receipt to UGL, Technical Customer Service, 1396 Jefferson Ave., Dunmore, PA, 18509. THIS LIMITED WARRANTY EXCLUDES ALL OTHER EXPRESS OR IMPLIED WARRANTIES, INCLUDING THE WARRANTIES OF MERCHANTABILITY OR FITNESS FOR A PARTICULAR USE OR PURPOSE. UGL will in no event be liable for any incidental or consequential damages. Some States do not allow limitations on how long an implied warranty lasts or the exclusion or limitations of incidental or consequential damages, so the above limitations or exclusions may not apply to you. This warranty gives you specific legal rights, and you may also have other rights which vary from State to State. USAGE STATEMENT: Prior to use, carefully read the product label and follow the directions. For technical information, warnings, cautions, notices, and additional information, download and read the documentation available on this website. * WARNING: If you scrape, sand or remove old paint, you may release lead dust. LEAD IS TOXIC. EXPOSURE TO LEAD DUST CAN CAUSE SERIOUS ILLNESS, SUCH AS BRAIN DAMAGE, ESPECIALLY IN CHILDREN. PREGNANT WOMEN SHOULD ALSO AVOID EXPOSURE. Wear a NIOSH-approved respirator to control lead exposure. Clean up carefully with a HEPA vacuum and a wet mop. Before you start, find out how to protect yourself and your family by contacting the National Lead Information Hotline at 1-800-424-LEAD or visit www.epa.gov/lead. ** When using DRYLOK® Etch®, wear eye protection with side shields, chemical-resistant gloves, protective footwear and suitable clothing. ***Cancer hazard: Contains Crystalline Silica, which can cause cancer. Risk of cancer depends on duration and level of exposure to dust generated from sanding surfaces or grinding. Use only with adequate ventilation. Do not breathe dust. Avoid eye contact or prolonged contact with skin. Avoid exposure to dust by wearing an appropriate (NIOSH approved) particulate respirator during mixing, application and clean up. Follow respirator manufacturer's directions for respirator use. Close container after each use. Avoid contact with eyes, skin and clothing. Wash thoroughly after handling.